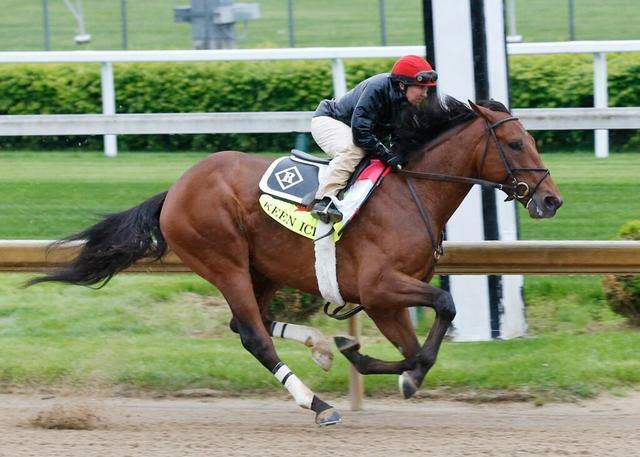 Donegal Racing’s Keen Ice returned to the Churchill Downs work tab Saturday morning breezing for the first time since upsetting Zayat Stable LLC’s Triple Crown winner American Pharoah in the Travers (GI) at Saratoga. The homebred son of Curlin worked a half-mile in :51.20 for trainer Dale Romans. The Travers was Keen Ice’s first graded stakes win and first trip to the winner’s circle since last September when he broke his maiden at Churchill Downs as a 2-year-old. Since then, the Travers winner has racked up a handful of on-the-board efforts, including a second behind American Pharoah in the Haskell Invitational (GI) and a third in the Belmont Stakes (GI). Prior to the Travers, Desormeaux was aboard Keen Ice in the Haskell, Belmont and Kentucky Derby Presented by Yum! Brands (GI), where he ran second, third and seventh, respectively. Javier Castellano was the pilot for his Travers victory. Romans said Keen Ice will train up to the $5 million Breeders’ Cup Classic (GI) on Oct 31 at Keeneland. Also on Saturday morning’s work tab was Charles E. Fipke’s Tale of Verve, who worked five furlongs in 1:01.40 for trainer Dallas Stewart. The son of Tale of Ekati remains on track for the $400,000 Oklahoma Derby (GIII) on Sept. 27 at Remington Park. Jockey Jamie Theriot, who was aboard for Saturday’s breeze, has the mount in next week’s race. Tale of Verve is coming off of a string of three unplaced efforts in the Belmont (GI), West Virginia Derby (GII) and Travers (GI) where he ran seventh, sixth and eighth, respectively. Stewart blamed his disappointing efforts in the Belmont and Travers on, what he perceived to be, heavy tracks. Also, Midwest Thoroughbreds’ The Pizza Man breezed five furlongs in 1:01.40 for trainer Roger Bruggemann, who is pointing the Illinois-bred son of English Channel to the $1 million Shadwell Turf Mile (GI) on Oct 3 at Keeneland. 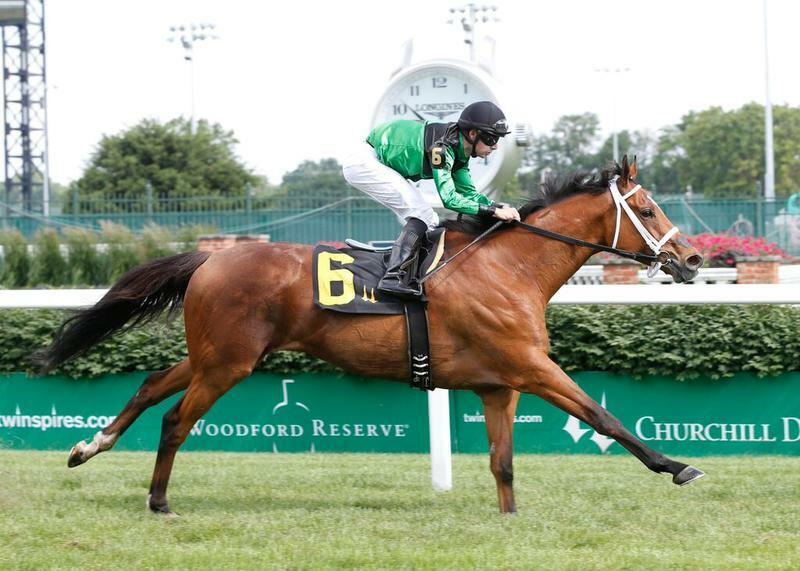 The Pizza Man has won all three of his starts this year which came in the Opening Verse Stakes at Churchill Downs, and the Stars and Stripes (GIII) and Arlington Million (GI) at Arlington Park. Bruggemann is unsure as to which Breeders’ Cup race The Pizza Man would run in if he wins his next start. The Arlington Million and the Shadwell Turf Mile are both Breeders’ Cup “Win and You’re In” races for the Breeders’ Cup Turf and Mile, respectively. The Pizza Man was recently invited to race in the $5.4 million Japan Cup (GI) on Nov. 29, which Bruggemann has on the agenda if he continues to put up big performances. FIELDS FOR NEXT SATURDAY’S TRIO OF STAKES RACES BEGIN TO TAKE SHAPE – The fields for Churchill Downs’ three stakes races for next Saturday – the $175,000 Lukas Classic, $100,000 Ack Ack Handicap (Grade III) and $100,000 Jefferson Cup (GIII) – are beginning to take shape. John C. Oxley’s Flashaway will enter the Jefferson Cup at one mile on turf for 3-year-olds, according to assistant trainer Norman Casse. Since switching to turf at the beginning of his 3-year-old campaign, the homebred son of Eskendreya has been on the board in five starts on grass. The only off-the-board turf effort came two starts ago when he was disqualified from first to eighth in an allowance race at Woodbine. Other probable for the Jefferson Cup, according to stakes coordinator Dan Bork, include Bruce McCrea’s Flashy Chelsey, R.A. Hill Stables’ High Noon Rider, Lothenbach Stables Inc.’s Nun The Less, Sultan bin Mishal’s Saham, Tevis McCauley’s Sylven Park; and Watchyourownbobber and Wayward Kitten, which are owned by Ken and Sarah Ramsey. The Ack Ack and Lukas Classic could have a couple of starters from trainer Steve Margolis’s barn. A.L. Leudtke’s Geothermal is possible for the Lukas Classic, but could start Friday in a three-other-than allowance race instead. 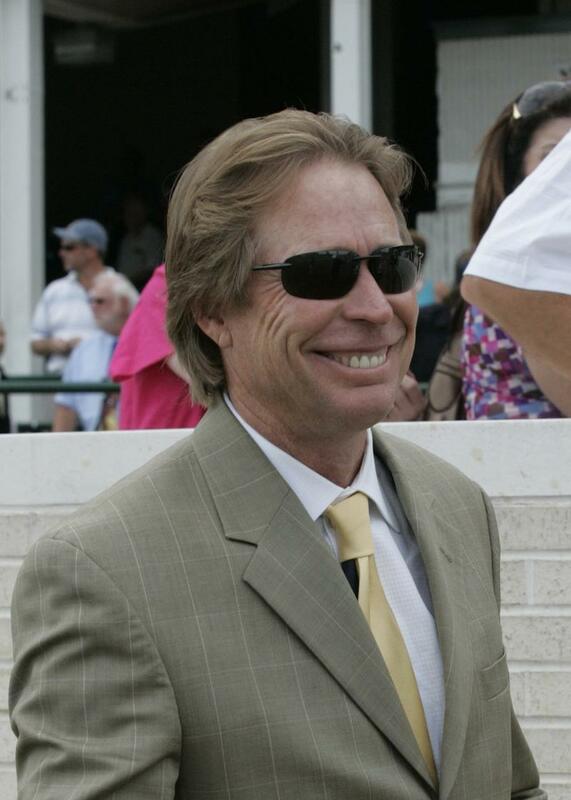 While Geothermal is not definite for the Lukas Classic, Margolis’s other stakes contender, Robert and Lawana Low’s Agent Di Nozzo, will “definitely run” in the Ack Ack. The 6-year-old son of Ghostzapper last found the winner’s circle three starts ago on Kentucky Derby Day when he won an allowance/optional claiming event on the main track.His last two starts, both sixth-place efforts, came against stakes company in the Kelly’s Landing Stakes at Churchill Downs and Hanshin Cup (GIII) at Arlington Park. Margolis said the former had to do with the distance, while the latter was because of the Polytrack at Arlington Park. 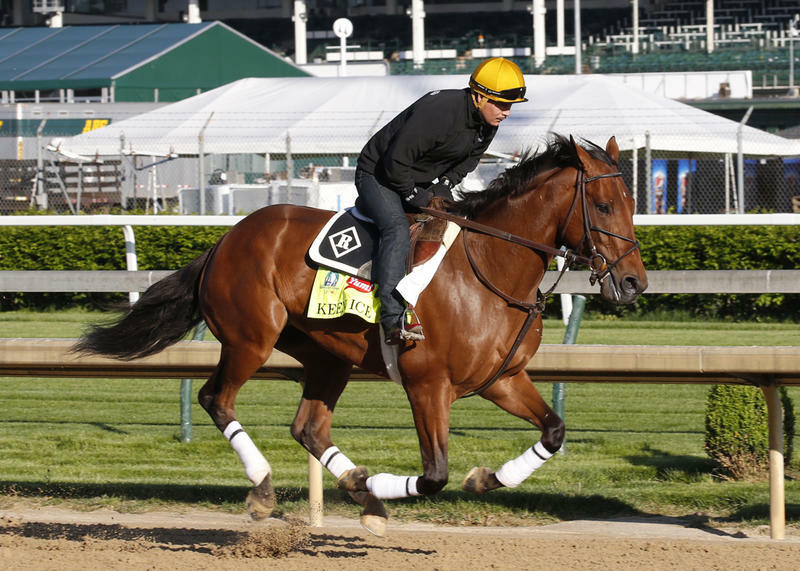 “He ran so good at the one-turn mile here on Derby day, then we got him backed up to seven-eighths which was a little too short for him,” Margolis said. “And then I thought the one-turn mile at Arlington would be good, but he just broke out of the gate and [Jose] Valdivia, Jr. said that he just wasn’t comfortable and he kind of ran a little bit up there and then kind of emptied out. Known early possible starters for the 1 1/8-mile Lukas Classic include Brad Grady’s Abraham; Geothermal; E. Paul Robsham’s Golden Lad; and Mary Ann Charlston’s Ulanbator. Ack Ack possibilities include Agent Di Nozzo; Patricia Hope LLC’s Midnight Cello; Michelle Y. Brown’s Roman Unbridled; Iron Horse Racing Limited Partnership’s Street Strategy; and Marylou Whitney’s Viva Majorca.